Every big project, every big adventure, begins with a big plan! Bob the Builder is about to take on his biggest project ever in the all- new series Bob the Builder Project: Build It --- he's building a whole new town from the ground up! 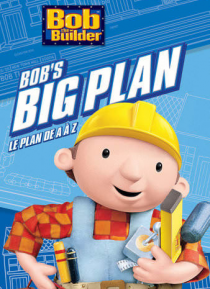 Before he breaks ground, find out how it all began in Bob's Big Plan, the story behind the new series, plus see the first two episodes in the new series: Bob'sFres… h Start and Lofty's Shelter! It's the blueprint for the building job unlike any other!